In 1992, Lon and Brenda Solomon made space in their life of baseball cards and soccer practices for pink bows and polka dot dresses as they welcomed their baby girl into the world. She was everything they dreamed she would be, and they named her Jill. At three months old, Brenda was changing Jill’s diaper when she noticed her little arm begin to shake unnaturally. It would happen again a few days later. 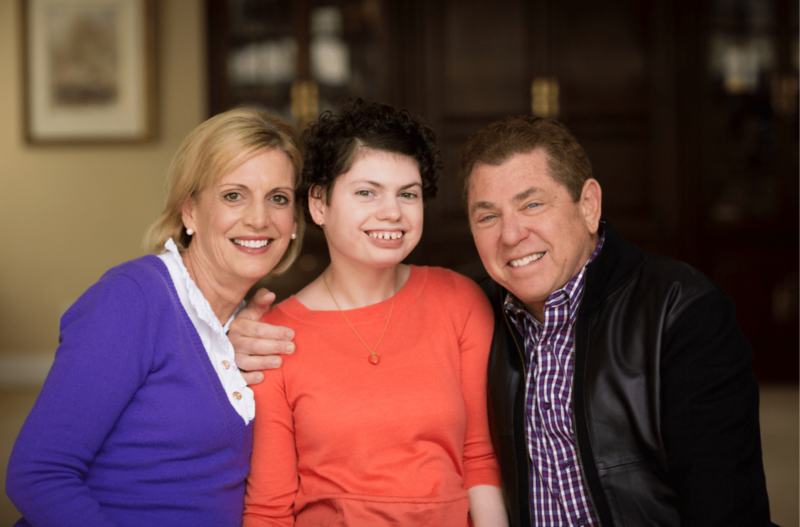 The Solomon’s took Jill to see a neurologist who confirmed their worst fears- their little girl was having seizures. Several months of anti-seizure medication later, the family loaded up their minivan and headed to the beach. Everyone remembers that day – that’s when everything changed. Eyes wide, Jill sat in the soft sand, babbling away, amazed at the woosh of the waves and the songs of the seagulls when, without warning, her body erupted into her first tonic-clonic (grand mal) seizure. Terrified, her parents held her trembling body, helpless to save her from what was happening inside. In a blur of doctors appointments and magazine-filled waiting rooms, she was diagnosed with Dravet Syndrome, a rare, untreatable seizure disorder. She lost abilities she once had, including her ability to speak, and the family lost all sense of normalcy. Her parents could no longer even take their sons out for pizza or cheer them on at their soccer games. They were physically, mentally, and spiritually exhausted. A few hours after the prayer, Brenda received a phone call from Mary, a woman she had never met. Mary shared she felt compelled by God to call Brenda, and after hearing Brenda’s struggles, she began to organize caregivers for Jill so Lon and Brenda could have some rest. In short, Mary gave them respite. Over the weeks that followed Mary’s call, the couple finally got some sleep. Through this rest, they had the energy to make better decisions, spend time with their boys, and even take better care of Jill. Respite gave them hope. It gave them life. A few years later, Jill’s father, Lon, toured a facility in Jerusalem named Shalva, translated “peace of mind,” where families just like theirs received many services including overnight respite. This was the answer to their prayers. This would be Jill’s legacy. After returning from the trip, Lon and his church community began the process of creating a home not only for providing respite care for families, but also a remarkable place for kids to embrace who they are and all they can be. “Jill’s House wasn’t built just to give parents a break. We built Jill’s House because we wanted to build an exceptional place for these amazing children,” said Brenda. And thanks to Jill, they have.